But will it change perceptions? It’s no secret that while Uber has helped many people navigate America, the ride-sharing app hasn’t done itself any favors in terms of public perception. From awful diatribe Twitter apologies to drivers getting too handsy, Uber has some mud on its proverbial face (or front bumper, as it were), so anything the company can do to create positive mojo would be helpful. Enter Uber’s first-ever report on its “Driver partners,” created to tell the world how Uber is a great place to work…and, possibly, flirt with your passengers. The company released a survey via its blog to let everyone know just how much it has exceeded its own expectations. On average, Uber’s drivers use the app more than five times per day on days in which they’re driving. Within a month of becoming an active Uber driver, 11% of drivers go inactive, meaning they stopped using the service for the next six months. 14% of Uber drivers are women, which is more than the 1% of taxi drivers who are women but less than the overall share of women in the workforce. 19% of Uber drivers are under the age of 30. 25% of Uber drivers are over age 50. 35% of Uber drivers surveyed said if Uber weren’t available, they would pursue work for another car-hailing company. 70% of drivers who started working for Uber in the first half of 2013 were still actively driving for Uber. 71% of Uber drivers say they have increased their income while working for Uber. Only 11% said that working with Uber had decreased their income. In December 2014, Uber had 162,037 active drivers on its platform. In the last quarter of 2014, Uber paid out over $650 million to drivers in the US. This comes out to approximately $19 per hour for Uber drivers. That’s a decent living, when you consider most cab drivers make less. In fact, consider the taxi haven of the country — New York City. 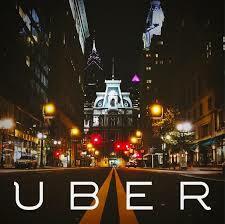 Along the streets and avenues, Uber drivers make $30.35 an hour compared to taxi drivers bringing in $15.17 an hour. “Nonetheless, the figures suggest that unless their after-tax costs average more than $6 per hour, the net hourly earnings of Uber’s driver-partners exceed the hourly wage of employed taxi drivers and chauffeurs, on average,” the report says. Sky’s the limit for the company to make even more money; yesterday Bloomberg reported that Uber Technologies Inc. raised $1.6 billion in convertible debt from Goldman Sachs Group Inc. (GS)’s wealth management clients. Maybe that money could be going to legal fees and PR because as long as stories like this, this, and even this rear its ugly head, all the profit and statistics in the world won’t change the public’s general “I use them, but I don’t trust them” perception.